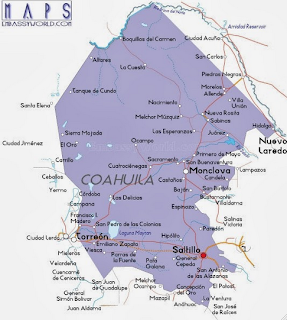 Elements from (GATE) captured 16 suspected members of the Gulf Cartel in southeastern Coahuila, including Julio César Aguirre Alday, 27, who was identified as operating boss of the Gulf Cartel in this region. They are suspected in connection with three homicides and for dealing drugs. According to the Prosecutor General of Justice (PGJ) the detention was the result of an action by GATE, whose elements while cruising by Manuel Acuña Boulevard, upon entering the intersection Jaime Benavides Boulevard in the Capellanía neighborhood, where they saw two vehicles: a Dakota pickup and a Lincoln Mark LT. Agents were made, which caused the cars to flee, and a chase ensued. The pursuit entered Santo Domingo in Las Haciendas neighborhood in Ramos Arizpe, the suspects tried to enter a home and opened fire on the members of the GATE. 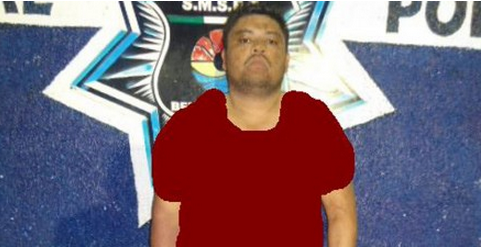 Finally, the subjects were detained and one of them, Julio César Aguirre, a Saltillo resident, was identified as the operating area plaza boss of the Gulf Cartel. The subject, according to the official report, confessed to having killed three men, including a ministerial police officer, this past Tuesday October 29, whose body appeared alongside another man on the Periferico bridge at Luis Echeverria Alvarez and Boulevard Vito Alessio Robles, in Saltillo. Julio César Aguirre Alday; Juan Alberto Aguirre Alday; Angélica Karina García; Ismael Lara Cruz; Hans Preisser Davila; Nicolás Solís Tamez; Rafael Herrera González; Edgar Eduardo López Torres; Dalila Selene Torres Mata; Jesús Ángel Salazar Mendoza; Gilberto Gallegos Mendoza; Luis Sánchez Hernández; María Vargas Ramírez; Joselin Jazmín Lozano Ramírez; Karen Marlene Hernández Peña and a minor named Eduardo. Also detained: Jesus Angel Salazar Mendoza, Gilberto Gallegos Mendoza, María Vargas Ramírez, Joselin Yazmin Lozano Ramirez. 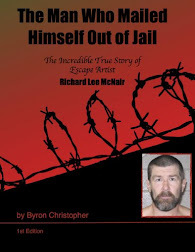 The detainees are likely responsible for the crime of homicide, retailing, resisting arrest, and firing weapons. After their arrest, they secured from them 14 AK-47 weapons; an R-15, 120 chargers; for AK-47 rifle, of which 88 were found in their entirety. In addition, seized 12 chargers and a bag of 25 cartridges 50 caliber, bullet proof vest, tactical belts and 5 pairs of tactical boots, and marijuana. The only insured item that links them directly to the Gulf Cartel is a hat with the acronym CDG and 30 other logos on a black material with the same insignia, and 12 telephones. The 16 detainees with the secured objects were placed at the disposal of the public prosecutor's Office which will give them over to Attorney General's Office (PGR) because it is federal crimes, organized crime and possession of firearms for the exclusive use of the army operation. The Gulf Cartel criminal organization is present mainly in the north and east of Mexico, especially in the states of Nuevo Leon, Tamaulipas and Veracruz. the Attorney General of Justice of the State (PGJE) announced that it will present charges against the alleged leader of the Gulf Cartel in Quintana Roo, Peter Ray Nunez El Mojon, for the murder of 15 people. Prosecutor Gaspar Armando García Torres pointed out that the kingpin, arrested yesterday in a residential area in the urban area of this tourist destination, is related in six preliminary investigations for the crime of homicide. The State official said that the detainee is known only by the nickname of El Mojon, but his accomplices - who were captured previously - identified him as Miguel Angel Villarreal Barajas; However, at the time of arrest drug trafficker said to call Guillermo Martínez Martínez. However, he added, the true identity of the capo is Pedro rays Núñez, known by the nicknames of El Mojon, El Ferruco and the El Apa, 25 years old, originally from Tamaulipas. 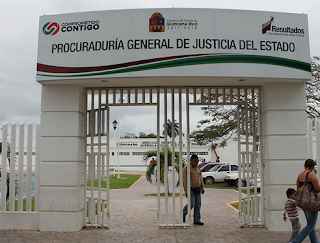 According to García Torres, for five years the detainee worked for the Gulf Cartel and operated as plaza boss in Quintana Roo, with greater influence in Cancun and Playa del Carmen. Dolores González, 41 years; Maricela or Luz Manuela Reyes Diaz, 30; Abel Mario López Xicoténcatl, 21, and Francisco López García, aged 31. They seized 163 doses of marijuana, 374 rocks of crack and 10 bags of "raw" rock. Jajajaja ese de la camisa 97 y el de sueter rosa son jotos.Con razon les dicen las golfas jaja puro pinche indio del sur tienen esas golfas que les dije.Tambien mataron a 2 golfos los Z en Saltillo nomas para que miren golfas que en Coahuila no es cual quier plazita.Y el pinche tuerto de Mellado con su clave del 02 no que muy chingon segun el iva peliar Coahuila para Las Golfas.Como lo corrieron el 2010 con toda su gente de Piedras Negras ahi anda de mitotero y enwilado de rato cais pinche puerca tuerta del Mellado. Why is it that of recent the people getting busted seem to be really what stories tell us, criminals are dirty ugly lowlifes that look as thou they've crawled out of the sewer some place? You look at the Zetas getting busted, old fat ugly loser's and now we see the different CDG's and they are no better maybe even lower class. People in Mexico can take heed, the drug war down there is being won because by just looking at the caliber of criminal you can see they are having to scrape the bottom of the toilet to get these loser's. I wonder if they even get any training now" Oh well, the nice people of Mexico deserve to have peace so they can just live and let live. Hard not to agree w/u. These peor are hideous criminals that chose their hard lives. I wish they'd crawl back into the sewers and work on their narcomanta skills. The whole lot of them have horrible grammar. 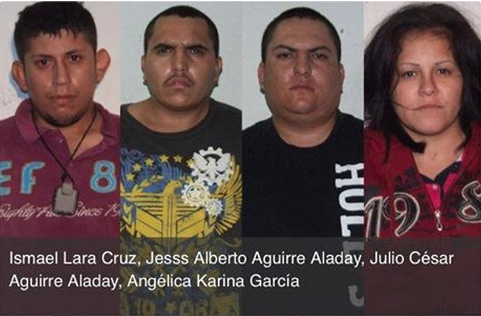 It's no wonder the gulf cartel needed the Z as enforcers; look at all these slobs. All of them look like nice and well adjusted individuals to me ... but having grown up in a meth lab maybe I am not the right person to serve as reference point ... yet. 6:44 any teeth left?they didn't nab you during "operacion dientes negros"? Shows Zetas are friends to one and all. Some of them look like they were homeless not too long ago and then get scouted. ^^^^ "Funny mug shots!!" ^^^^ All I can say is, if these mugs were staring front of you, face-to-face, you probably wouldn't be able to laugh, "funny" is not the way to think, "disturbing" or "how did the world get as messed up as this" is more like how I feel when I see these faces? Hahaha calm down!! They have a choice? U either fine urself an honest job or be a lowlife and work for the cartels.. these idiots decided being a cartel was how they would make a living.. they made there bed and now the must lay in it!! Thats the funny part!! 1:38 guilty! "for failing to protect those that can't protect themselves"
No what a great post Chivis! U r the best! Los ricos/bonitos casi no se agarran, peros los pobres y feos, i Claro que sí ! Indigenous peoples of Mexico revolted against Spain & slave labor . Spain imported 1000000's of Black folk from Africa to finish building churches, buildings , aqueducts, and all the marvels of Mexico . Then the Mexicans systematically killed the black folks until they were all ethnically cleansed . Sad but true part of history you will never hear spoken. Mexico was built on the sweat and blood of black men . 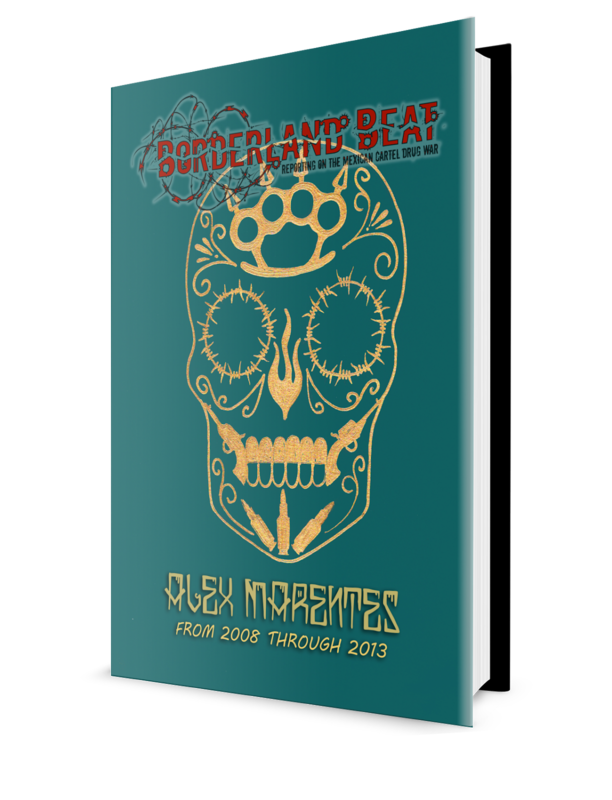 And mexico once again continues its bloody atrocities against humanity. "Mexico is a whorehouse where the revolutionary ideals of your forefathers… are corrupted and sold in alleys by vendors of capitalism"
2:18 hey chillon you made it in !!! Gracias, gracias, gracias Chibas! Este post es mejor como el uno sobre es mas interesante y apredí mas. Gracias, Gracias, Gracias Chibas! hahaha look at the girl in the white shirt! it looks like she is crying! these people had 14 ak 47s.think what you want.the cartels pay 3 times what you can make working.there this thing called hope.when your in the cartel you have it.the zetas own every business in nuevo laredo.and there hasnt been any war for 8 months. Heaven help these hopeless cases no one else will! And I'm agnostic and an atheist except when it comes to Chivis then I pray like a MFer all day! She isn't a lost cause these uglies are, for sewer! Folks this is Havana's post...The confusion is because she put in so much time into it I posted a teaser first and said she would follow with a detailed post. yeah I know, I knock it off of Forrest Gump. Chivaaa! Watching too many movies will not make us too much money,OK? because of you and don't need anymore,but I would not mind a little more. 8:37 jajajaja...yup, she def would!